Brisbane: Former New Zealand captain Brendon McCullum has decided to retire from Big Bash League (BBL) after playing his last game on Friday to start the transition into a coaching career. 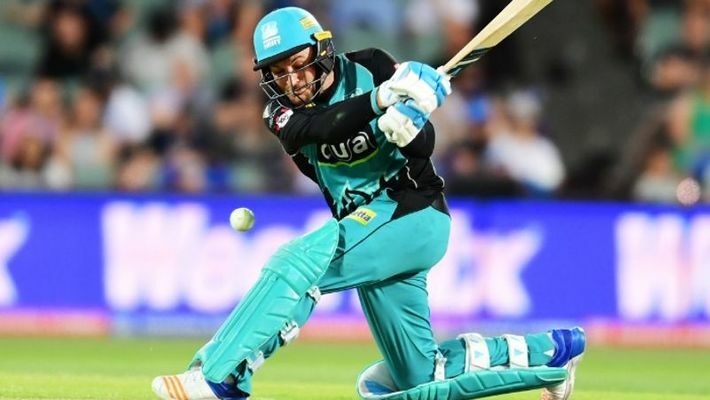 The 37-year-old explosive batsman and wicketkeeper, who retired from international cricket in 2016, will play his last BBL match for out-of-title contention Brisbane Heat in their season-ending game against Melbourne Stars at the Gabba. McCullum, who has been with Brisbane Heat since the BBL inaugural year of 2011, will not take up his contract option to return for next season. The big-hitting New Zealander, who has belted 920 runs and five fifties in 34 matches for Brisbane Heat since making his debut, said he will continue to play T20 cricket in other countries this year. "I will continue to play T20 cricket in 2019 in various competitions around the world and will then look to transition into a coaching career," McCullum said in a statement. "The prospect of being able to transfer the skills, experience and leadership I have been lucky enough to bank over my long T20 and also international career into coaching is very exciting," said in the statement quoted by cricket.com.au. He said he absolutely loved playing for the Heat and it was a privilege to captain the team. "Being a part of the BBL has been a special part of my career. Having been there at the start, and then seeing it grow and evolve into one of the best T20 competitions in the world has been great to be part of," said McCullum. "I think the BBL will get stronger and better from here too as everyone becomes more comfortable with the format and the clubs continue to be bold in their planning and preparations." In an international career spanning 14 years (2002 to 2016), McCullum scored 6,453 runs from 101 Tests and 6,083 runs from 260 ODIs. He also played in 71 T20Is to score 2,140 runs.